This shows what I did with the polycarbonate I bought from you. 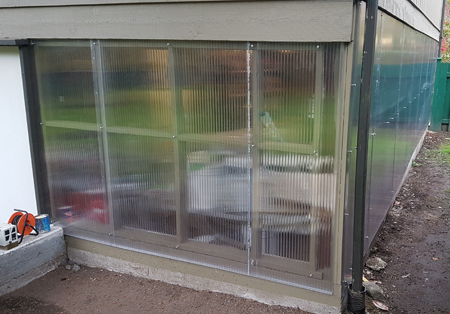 I used clear 16mm three walls polycarbonate. The garage is also my workshop. I have plenty of light now!